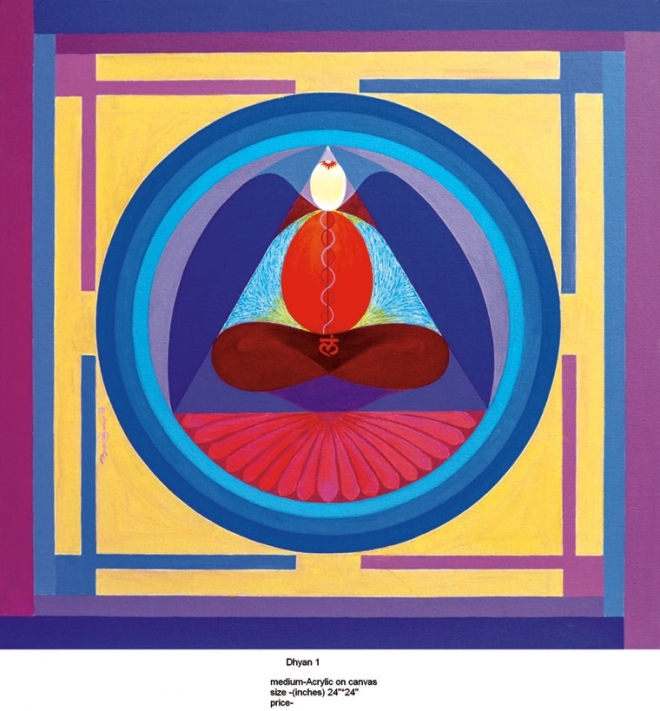 Mind Altering art by Tanaji Avghade: Meet the divine with art, through this spiritual painter Tanaji Avghade. 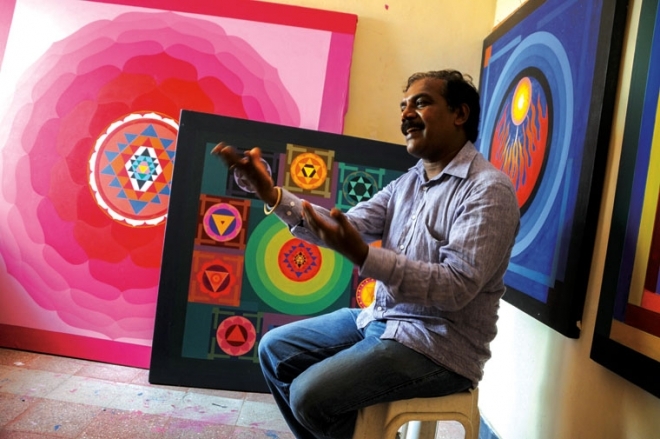 Tanaji avghade is a spiritual painter from Karad in Maharashtra and has his own studio, which allows the viewer to experience inner peace through his paintings. 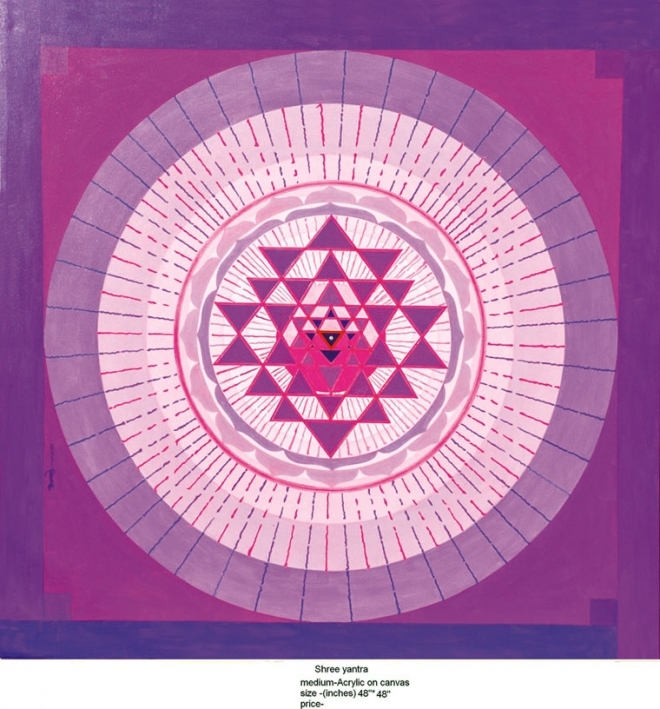 According to Tanaji, Shree Yantra is the use of geometry to answer metaphysical questions. 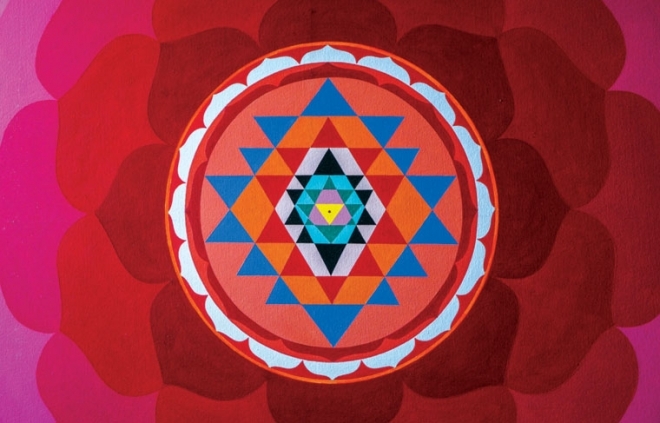 A triangle, circle, point (bindu), and square are the geometrical forms, which when put into a Shree Yantra, take the mind to another plane. This interplay of geometry captures the mind. 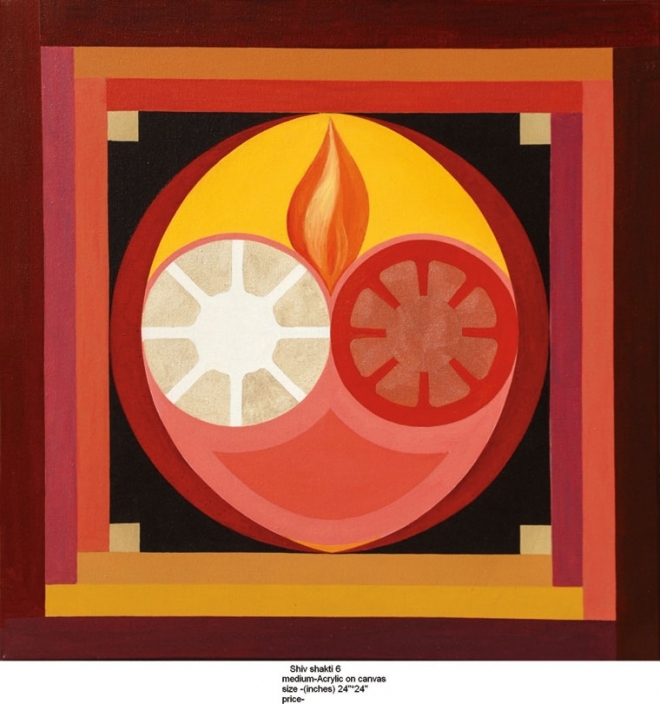 A Shree Yantra charges your positive centers if you stay in its vicinity every day. 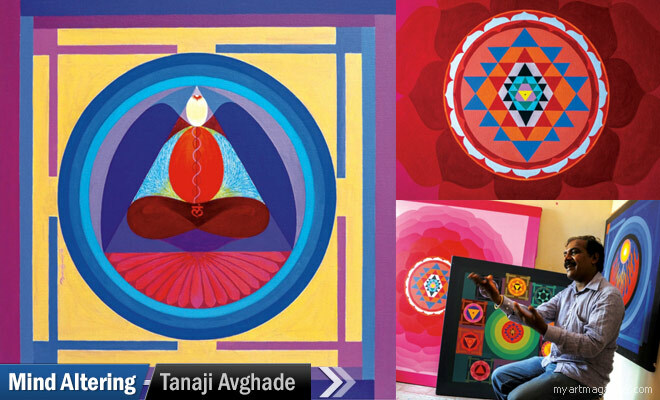 In this post we have added 15 Beautiful and Serene Mind Altering art by Tanaji Avghade.